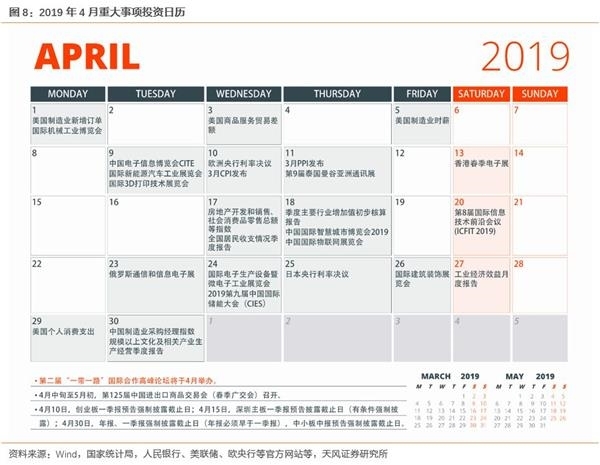 Tianfeng Strategy: Market risk is higher in late April. Look forward to growth opportunities at the end of June. 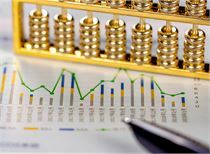 Beginning in late June, the probability of a double dip in the economy is likely to increase the credit expansion, including the reduction of interest rates. The market will follow the expansion of credit expansion, and once again enter the stage of valuation improvement, then focus on growth. 1. From the perspective of long-term cycle, in the three-round credit expansion cycle of 09, 12, and 14-15, the reverse cycle is more dominant. 2. The pro-cyclical plate is relatively relative in 2009.Shanghai and Shenzhen 300The best performance, the worst performance in 12 years, 14-15 years of performance in the middle. Behind the structure of credit expansion, the medium and long-term loans of the corporate sector accounted for the highest in 2009 (52%), the lowest in 12 years (21.3%), and the middle of 14-15 years (34.1%), and 44% in the first quarter of this year. 3. 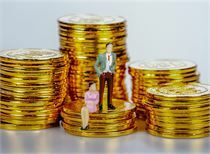 Therefore, under the optimistic expectation of short-term economic recovery, the pro-cyclical period is a trading opportunity, but it is difficult to make money. The probability of falsification of economic data in May is relatively large. 4. 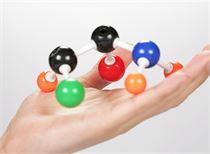 After the optimism of the molecular venting, the market logic returned to the denominator, but the credit expansion in April-May may slow down, leading to the market entering the overall adjustment stage in late April. 5. Beginning in late June, the economic downturn may once again increase the credit expansion. At that time, the focus will be on growth (the valuation of the ChiNext is raised andPerformanceAccelerate mutual cooperation). 1. The long-period perspective, the inflection point of credit expansion has been confirmed. In the long run, each round of credit expansion cycle has a higher growth relative win rate. (2)In the early stages of credit expansion,In the market, the valuations can be repaired and the money for valuation increase can be made. (3)Late credit expansion,Corporate earnings rebounded, but highinterest rateAnd tighteningcurrencyThe policy has led to the killing of valuations. (4)Credit contraction phase,The market will fully kill the valuation and only earn money for profit growth. For the big style,In each round of credit expansion cycle, lengthening,Counter-cyclical sections, such as growth styles, always have a higher probability of winning.This is in line with each round of credit extension cycle, benchmarkinterest rateThere is an important link to the simultaneous downgrade. In the case of temporary improvement in economic data in March, the need for short-term interest rate cuts is insufficient, but in the current credit expansion process, in order to support the 6.2%-6.3% economic growth bottom line, to ensure 2020GDPThe doubling of the task of cutting interest rates remains one of the reserve tools. 2. In the credit expansion phase, the performance of the pro-cyclical segment depends on the structure of credit. The performance of the pro-cyclical segment in the credit expansion phase depends on the extent of profit improvement, while the extent of profit improvement depends on the deconstruction of credit. We takeCreditThe proportion of medium and long-term loans in the corporate sector measures the strengths and weaknesses of the credit structure and the improvement of profitability in the future. (1)2009In the credit expansion cycle of the year, the overall proportion of medium and long-term loans in the corporate sector was 52%, the credit structure was very good, and the corresponding profit improvement was relatively large, so that the procyclical sector performed relatively well. (2)2012In the credit expansion cycle of the year, the overall proportion of medium and long-term loans in the enterprise sector was 21.3%, the credit structure was very poor, and the corresponding profit improvement was small, so the relative performance of the pro-cyclical sector was relatively poor. (3)2014-2015In the credit expansion cycle of the year, the overall proportion of medium and long-term loans in the corporate sector was 34.1%. 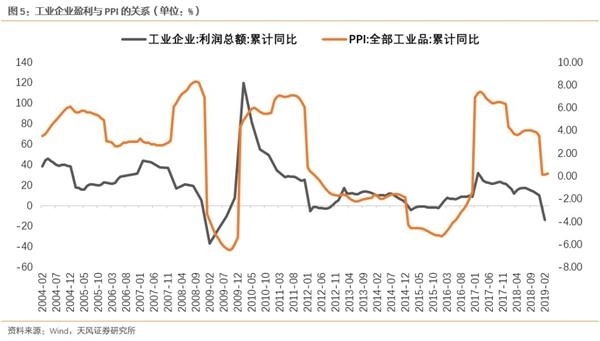 The credit structure was general, and the corresponding profit improvement was generally strong, so the relative performance of the pro-cyclical sector was also average. In the credit expansion of 2019, as of now, the overall proportion of medium and long-term loans in the corporate sector is 44%, which is between 14-15 and 2009. 3. 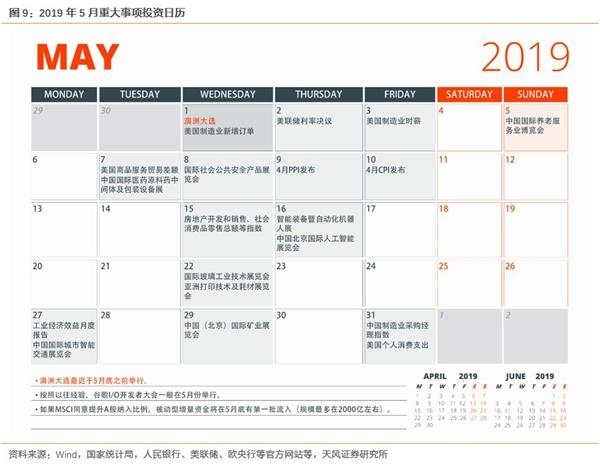 The expectation of short-term economic recovery is too optimistic, the procyclical period is a trading opportunity, and the probability of false economic data in May is relatively large. As can be seen from the above situation, the current credit structure between 14-15 and 2009, logically, the corresponding pro-cyclical sector should have some excess returns, superimposing the current market optimistic expectations for the current economic stabilization, short-term In view, the pro-cyclical sector has certain opportunities for compensatory growth and trading. First, it is now entering the intensive disclosure window of a quarterly report. The profitability of the cyclical stocks is not good. 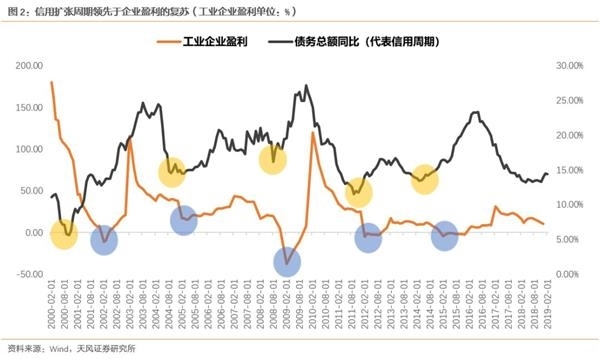 Second, from the perspective of valuation restoration, in the above chart, the cyclical stocks have not fallen behind the Shanghai and Shenzhen 300 significantly since the beginning of the year, and the repair space is not significant. Third, from the perspective of profit recovery, the probability of falsification of economic and profit data in May is greater. Taking the profit of industrial enterprises as an example, in the past, when the factors of “quantity” were more flexible, the profitability of industrial enterprises (in the name ofIndustrial added valueSimultaneously bottoming out and leading the “price” factor (PPI). 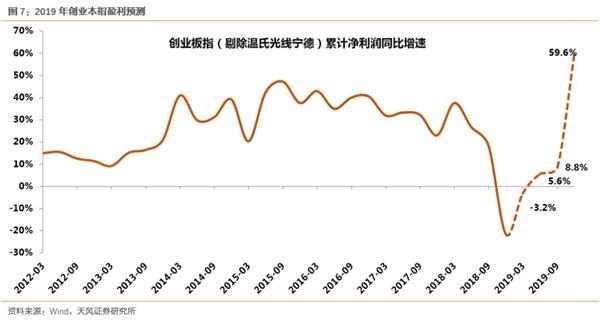 However, since 2012, as economic growth has entered a narrow range of fluctuations, the “quantity” factor is losing its elasticity, and the impact of industrial added value on the profitability of industrial enterprises is weakening, while the “price” factor dominates. Industrial enterprise earnings are almost in sync with changes in PPI. May-August 2018 is the highest stage of PPI, with more than 4% in a single month. Corresponding to May-August in 2019, if there is no new price increase factor, the probability of deflation is very large. 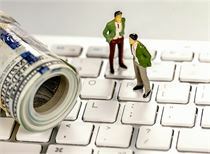 At the same time, it is the stage of industrial enterprises' profitability this year. Therefore, we expect that the lowest point of profitability of industrial enterprises is at the end of the third quarter. From the perspective of expectations, the third and fourth quarters are relatively good opportunities for the pro-cyclical sector. 4. In the second half of April, the market risk is relatively high. We are optimistic about the growth stock opportunities that started at the end of June. At that time, the valuation of the GEM will be improved and the performance will accelerate. After the optimism of the short-term numerator stabilization, the market logic will return to the valuation of the denominator. 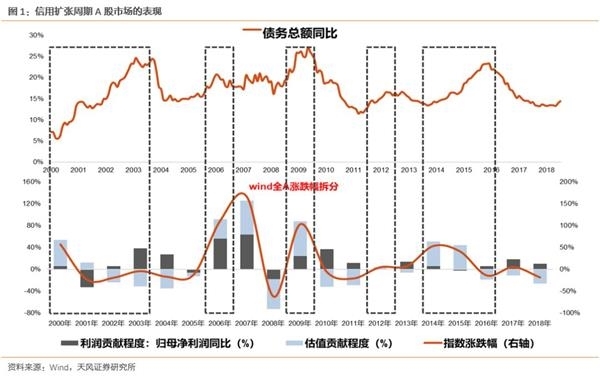 Due to a certain degree of improvement in economic data in March, the credit expansion of the policy level in April-May may slow down, including the RRR may be postponed until June, which will lead the market to enter the overall adjustment stage. 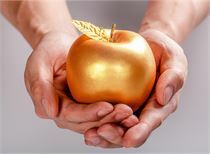 However, as mentioned earlier, in the second half of June and June, there is a high probability that the economy will have a double dip, which may once again increase the credit expansion, including the reduction of interest rates and the reduction of interest rates. The market will follow the expansion of credit expansion, and once again enter the stage of valuation improvement, then focus on growth. 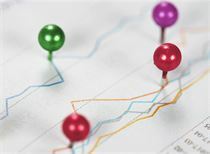 In addition, in addition to the valuation improvement phase, the denominator is more conducive to growth, and the performance of the GEM this year is also accelerating. Note: When calculating the growth rate of 19Q4, the profit base of 18Q4 has been added back to the goodwill impairment. 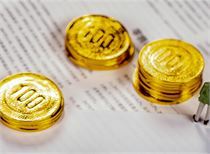 After the official release of the 18-year report, the profit base should also add back a large number of other depreciation factors such as inventory depreciation and bad debts. 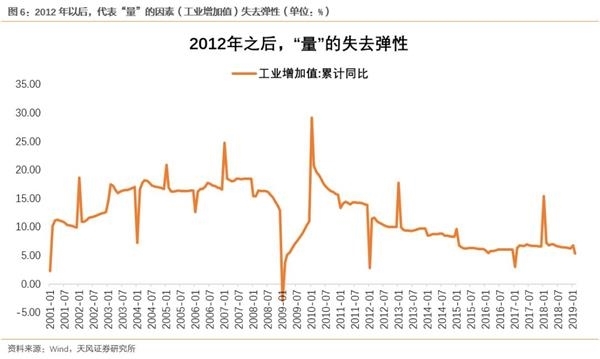 In addition, after calculation, the peak of goodwill impairment pressure is 18 years, 19 years of marginal improvement, and 20 years of significant improvement. 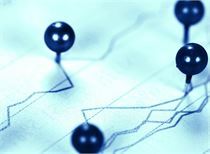 risk warning:Uncertain factors overseas, macroeconomic risks, and company performance are not up to the expected risks.